Alexanders kitchen showroom Warrington. Our brand new fitted kitchen showroom in Warrington showcases our high quality bespoke kitchen cabinets. We are excited and proud to be a kitchen cabinet manufacturer and kitchen supplier in Warrington and the surrounding areas. The Warrington kitchen showroom is an opportunity to see the Quooker boiling hot water tap and all the latest Neff, Bosch and Elica kitchen appliances on display. There are many styles and ranges to choose from catering for all project sizes and budgets. Choose from Solid Wood Painted In Frame kitchens to modern handleless high gloss or matt finished kitchens. Every option is available at excellent value. Visit our Warrington kitchen showroom and browse through our kitchen designs. Be inspired by the attention to detail and customisation available to you. Talk freely with a professional kitchen design specialist about your project. Get great insights into the kitchen design, manufacture and installation process. Get a feel for which style of kitchen suits your home best and which colours you like. We will work with your space and your unique list of essentials to create the perfect kitchen design for your home. What Kitchens Do We Supply ? Alexanders Kitchens designs and supplies kitchens direct to the North West UK including Warrington, Liverpool, Manchester and Cheshire. Our kitchens are supplied with an exciting range of either Matte finished, High gloss, solid wood, Painted or In Frame kitchen doors. Kitchen styles include modern handleless kitchens, traditional in frame kitchens, classic shaker kitchens and true handleless kitchens. 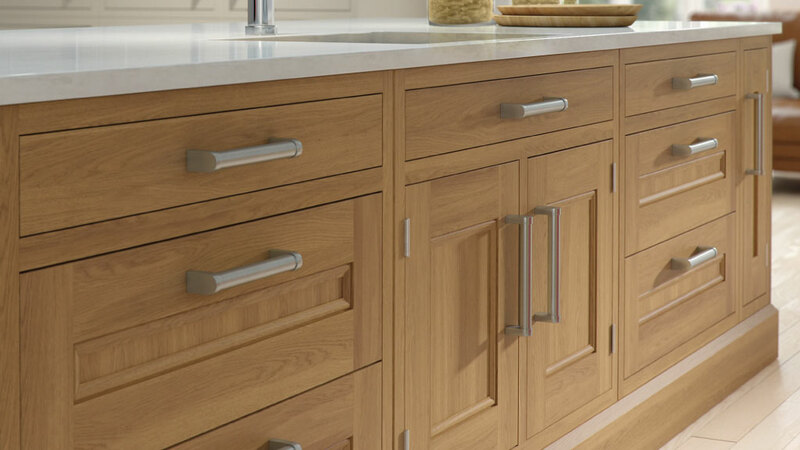 Our kitchen cabinets are delivered rigid-built, designed & manufactured by Alexanders Kitchens in Cheshire. 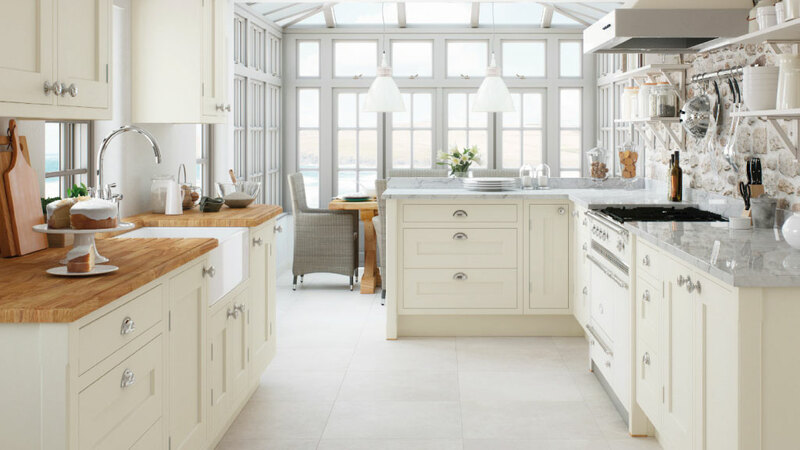 A comprehensive free kitchen design service is available from Alexanders. Completed kitchen designs can be viewed in the Alexanders Kitchens portfolio within our Warrington Kitchen showroom. Alexanders supplies bespoke fitted kitchens with an impressive selection of kitchen door handles, kitchen appliances and kitchen worktops. 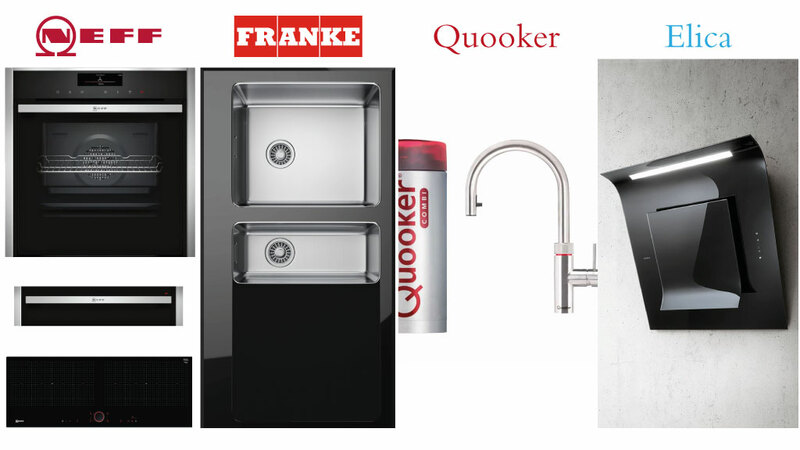 Alexanders is a Neff appliance Master Partner and a main dealer of Franke kitchen sinks & taps, Quooker hot water taps and Elica Extractors. We are based in the North West of the UK, Stockton Heath, Warrington, Cheshire. Ideally situated for delivery to customers in Warrington, Cheshire, Liverpool, Lancashire and Manchester. 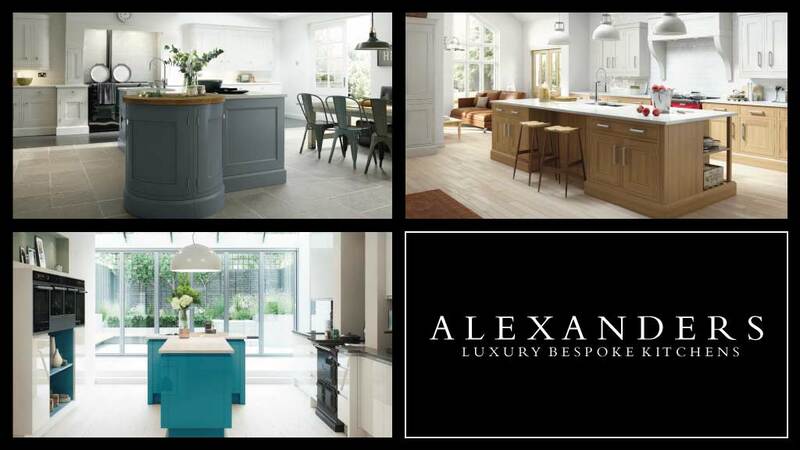 Contact Alexanders Kitchens Warrington to book a free appointment with a professional kitchen designer. Alternatively, email a kitchen plan or Architects drawing through to Alexanders with some information about your project. We will begin to create a new kitchen design for you to view in our Warrington kitchen showroom. Each kitchen is personally created by an experienced designer. Each customer is assigned their own kitchen designer to guide them through the kitchen design process from start to finish. We use the latest and most advanced CAD kitchen design software on the market to create a true representation of your kitchen design and bring design ideas to life. Accurate images are excellent for visualising your kitchen design and really help you with colour and style choice giving you piece of mind with your kitchen order. A comprehensive kitchen design gives both you and your designer clear indication of the kitchen details required to complete your order to its full potential. Soft closing doors and drawers as standard. Decorative cornice, pelmet & plinth. Door colour matching decorative end panels. Breakfast bars & Kitchen Islands. Solid wood, Granite or Quartz Worktops. Once discussed, the designer can then understand the ideas, expectations and requirements of each individual customer and their project. The designer will then draw up a detailed kitchen plan in our Warrington showroom based on all the details. Appointments with a skilled designer can be arranged at a customer’s home or a meeting at the Warrington kitchen showroom. Contact Alexanders to book an appointment with a kitchen designer. Appointments are available Monday – Saturday, including weekday evenings. The final kitchen plan will include the kitchen design, a list of every kitchen component and the kitchen price including installation. It will also include a full schedule of events with dates so you have reference to what services are taking place and crucially when. A suitable installation date is secured when a deposit for the kitchen is paid to Alexanders. Alternatively, if you do not require our fitting services you can order on a supply only basis with no fitting services included. We advise a minimum time from deposit to delivery of a new kitchen is 3 weeks as a supply only order. A longer time of 4 – 6 weeks must be allowed for bespoke painted kitchens. The kitchen installation typically takes between 1 – 3 weeks depending on the size of the kitchen and the extent of the works involved. For example, plumbing, electrics, plastering, floor levelling and tiling all influence installation time-frame. Although usually for all the aforementioned to be completed along with kitchen and granite or quartz worktop fitting, 3 weeks is typical. Alexanders is a Neff Appliances Master Partner and Franke Dealer. Innovation in kitchen design has been made possible by these brands and their development within the kitchen industry. Both Neff and Franke are at the forefront of kitchen design. Strong relationships with both kitchen appliance brands enable Alexanders to offer its customers great deals on all Neff and Franke kitchen appliances whilst maintaining the high-quality standards that surrounds these brands. Ask your kitchen designer to learn more about Neff and Franke appliances and how they can influence your kitchen design. 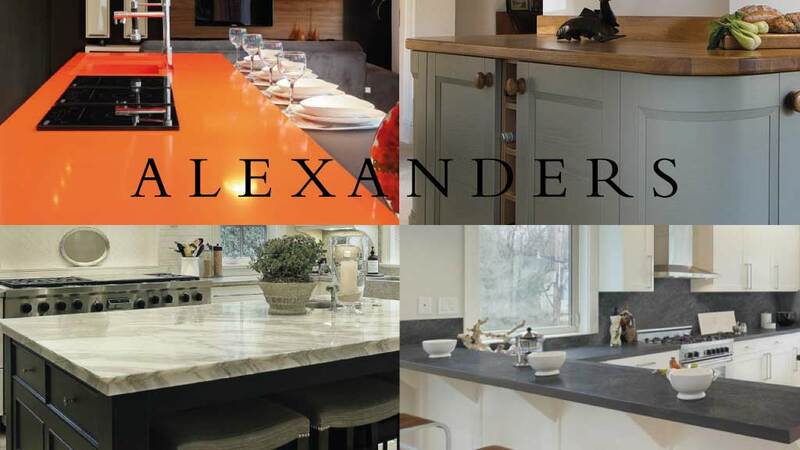 Alexanders supplies customers with a choice of Granite Worktops, Quartz Worktops, Solid Wood, ‘Butcher’s Block’ Worktops or Laminate Kitchen Worktops. Choosing which material will best suit your new kitchen will ultimately come down to cost, aesthetics and durability requirements. We can help to guide you to the correct worktop choice given budget and requirements saving you money where possible without compromising on value. Our cabinets are constructed using 18mm MFC. The interior colour of our kitchen cabinets can be customised to preference. The kitchen cabinets are supplied rigid and are free from multi bored unnecessary holes leaving the interior looking clean and solid. The cabinet colour is usually chosen to compliment the colour of the doors used in each kitchen design. All kitchen cabinets are supplied with Blum soft close mechanisms on all hinges and drawers as standard. Kitchen cabinets can be viewed at the Alexanders kitchen showroom Warrington. All of our kitchen cabinets are quality controlled at 3 stages before leaving our factory for delivery. They are checked once again on delivery to ensure everything has arrived in perfect condition after transit. Alexanders kitchen cabinets are constructed and arrive at their fitting destination rigid built. They are not flat pack and are not constructed using perishable glue products. They are quality controlled and tested three times before and once during delivery to ensure our high standard is maintained. Delivering our cabinets in rigid built format has real benefits such as the integrity of the cabinet is guaranteed, the true squareness and strength defined by our production line is assured and the installation time is greatly reduced along with the bonus of high quality product consistency. Below is some basic information about the different types of kitchen cabinets that are available from Alexanders. Designed to cater for 2, 3 or 4 drawers or even a single drawer line with two internal doors below. Blum Soft-close drawer-runner mechanisms are a standard feature throughout every kitchen range. Drawer line and Drawer pack units are available to view in our Warrington kitchen showroom. Designed to integrate all modern kitchen appliances, in addition to kitchen door fascias and drawers. Different larder types are on show at our kitchen showroom in Warrington. Hide a fully integrated fridge freezer. Build in ovens or a coffee machine or simply utilise this type of cabinet for pure storage. These cabinets can hold lots of items large or small and are great for dense storage when worktop space is at a premium. Add a unique touch to your new kitchen design using curved kitchen cabinets. Available to customers on selected ranges. 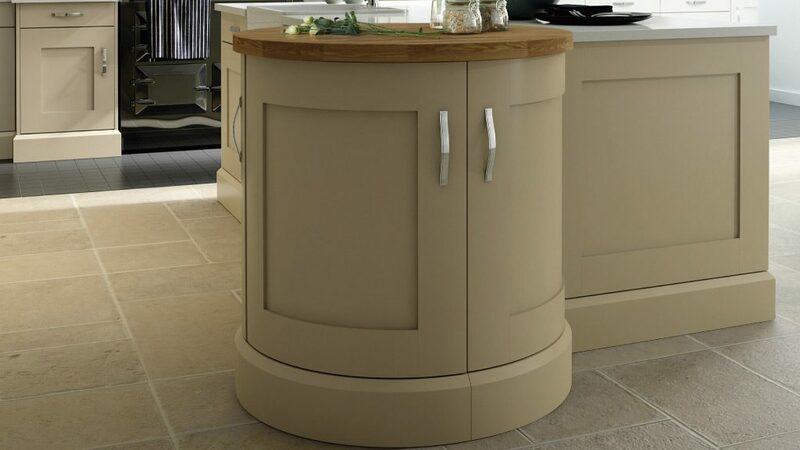 Curved kitchen cabinets can bring interest to a kitchen island area or soften a walkway in the kitchen. Designed at a unique or special angle, depth, height or width. Alexanders Kitchens can design and manufacture kitchen cabinets to any functional specifications. The ultimate in organised storage, unique and inspiring interiors are available within bespoke cooks pantry cabinets. Solid oak internal drawers, wine racks, spice drawers and even appliances can exist within these tailored cabinets. Splashes of granite or quartz cladding creates a solid durable feel. Hide your Chopping Boards herbs and spices. The options are truly endless for this showpiece statement cabinet.